These photographs were taken near Glenrothes back in the Spring of this year, and are part of the WPC ‘Eye Spy‘ theme. 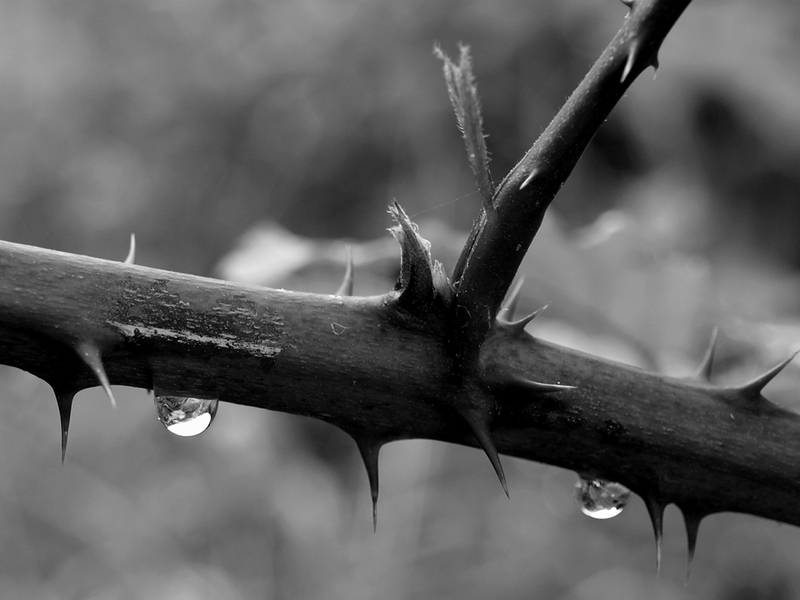 This entry was posted in Fine Art Photography, Weekly Photographic Challenge, Wildlife and tagged bramble, Fife, Glenrothes, nature, nature photography, rain drop, Weekly Photographic Challenge, wild flowers, wpc. Bookmark the permalink. so beautiful, i like this allot! Andy, you have so many great works that you have shared. I kept meaning to ask you if I can post the top photo here on my front page with a link back to you to honor and showcase your work. Okay, this is just beautiful. 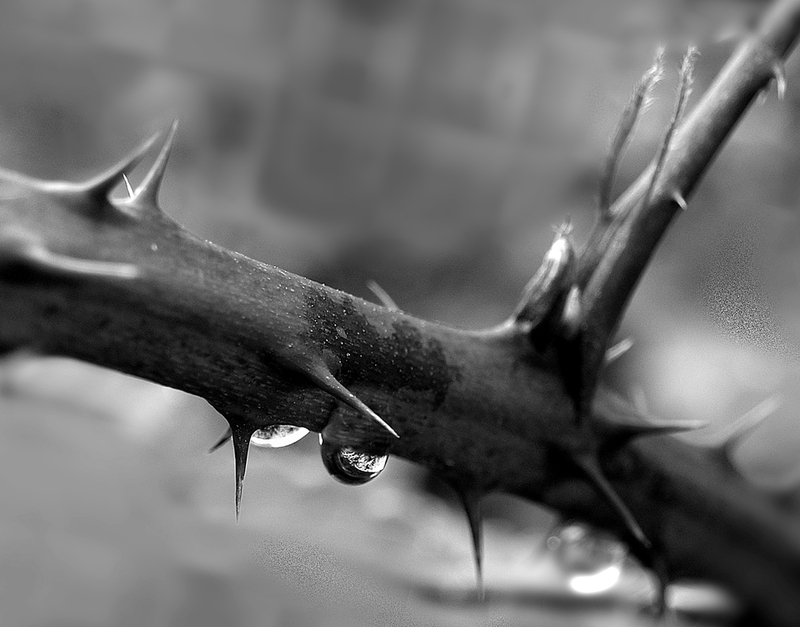 Andy, I love drops, too, and when I can catch the reflections in them, it pure magic, as are your photos here. Thanks Janet 🙂 Raindrops on vegetation are magical, I quite agree. 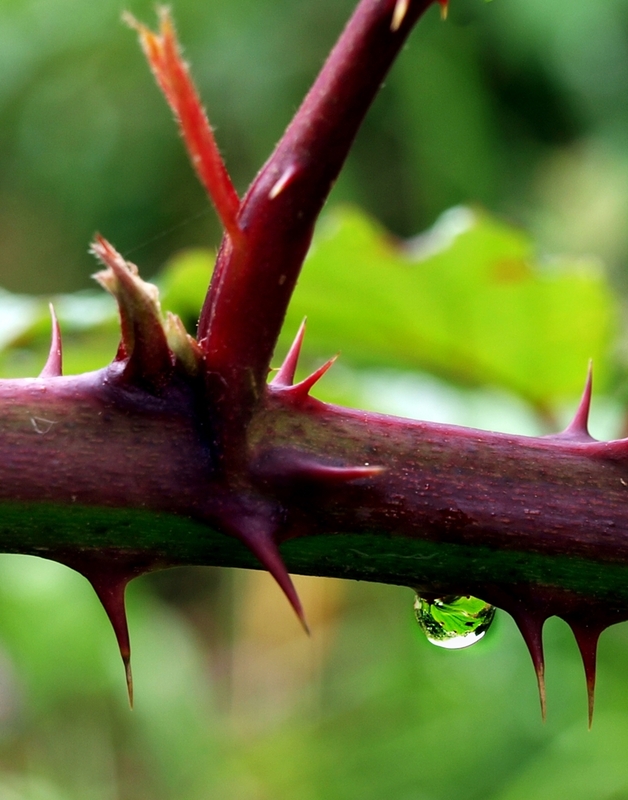 Beautifully captured and the thorns are real beasties! Thanks Gilly 🙂 I was really thankful I didn’t have to fight my way through them this time, to get the photo!!! How lovely, I’ve never thought about the view through a raindrop before. Smashing pictures.